I'm all about BBQ, so I'm always up for trying new BBQ places in town.The Pig Bar-B-Q Restaurant has been around for a while, but this is a new location for them. I went out there with my parents on evening to try them out. 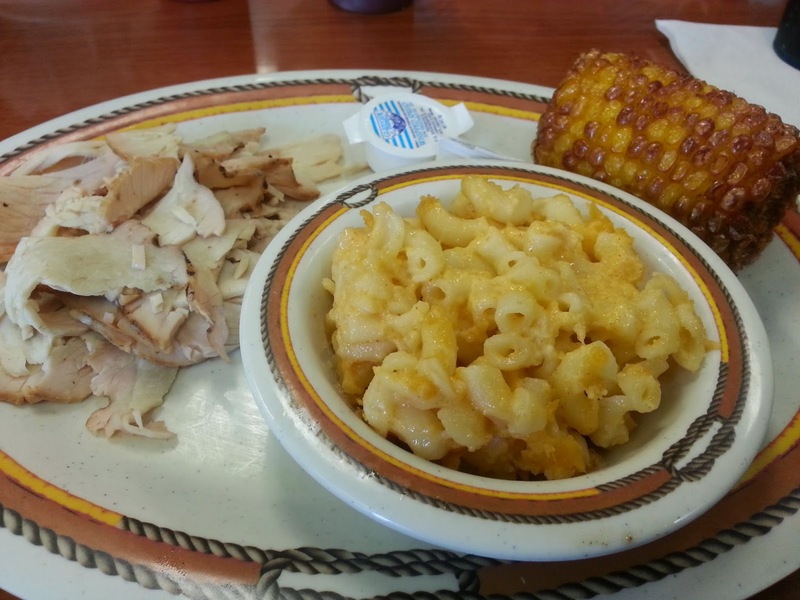 I got the Turkey Sandwich (minus the bun) with Mac & cheese and fried corn. The meal was not bad, but it wasn't impressive either. The turkey was thinly sliced and was a little dry. The mac & cheese was not very good at all, and y'all know that I am a mac & cheese connoisseur. Now I do have to say that the fried corn was pretty good. 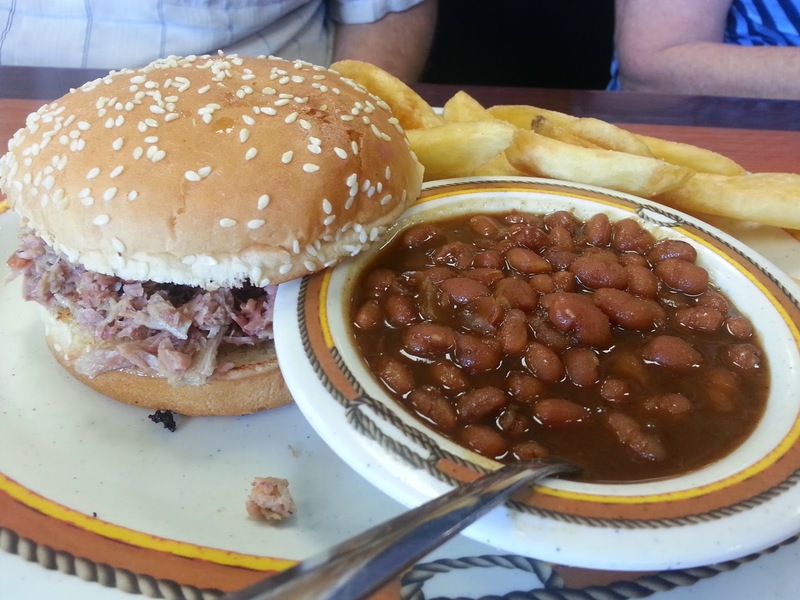 My dad got a Pulled Pork Sandwich with Fries and baked beans. 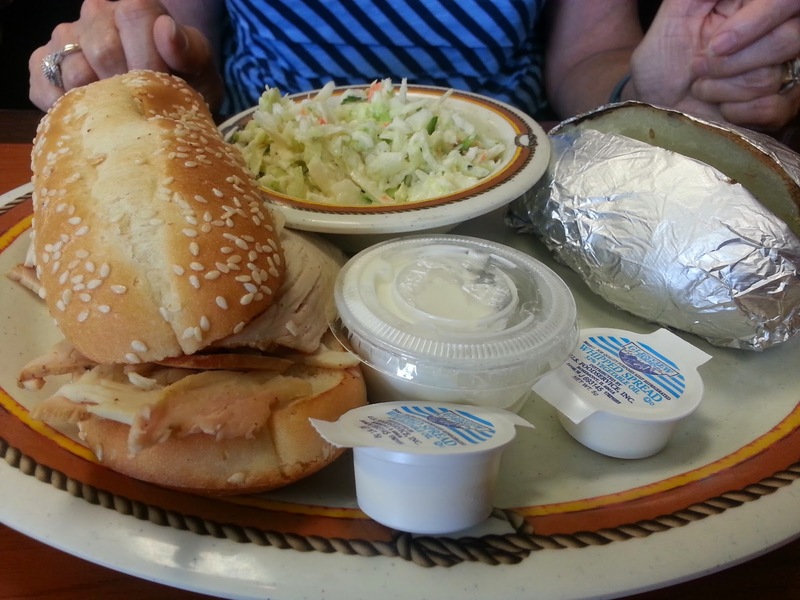 My mom got a Turkey sandwich with baked potato and cole slaw. It's not that it was bad, but it wasn't really good either. The food was just basic and didn't stand out at all. With so many other BBQ places in Jax, I don't think we will be going back. I will say that our waitress was great. She was very friendly and attentive. Now the other waitresses, I'm not sure about. One in particular kept staring at me and talking about me to other waitresses (they would look when she was talking). I'm not sure what that was about, but it was very uncomfortable. If I would have been there with just my husband, we would have definitely left without even eating.